Room wasn’t clean, especially the bathroom :/ The air conditioner was very high and there was no way to turn it off, no blankets either :( We left our towels hanging to use them again and they were gone after the first day and never replaced them. The breakfast bar is very slow and not good at all. And the noise!! This place is in a central location but there is a price to pay! Only worthy amenitie is definitely the pool. The rooms were “updated” but filthy. The windows were so dirty you couldn’t see through them. The baseboards were fitlthy and the floors hadn’t been cleaned. There was hair all over. The room was rundown and outdated. The bathroom and linens were dirty. When we asked housekeeping to clean the shower they used shampoo. THE INCLUDED BREAKFAST WAS GREAT! GOOD FOOD, GOOD PORTION. HOTEL WAS CLEAN, GROUNDS WERE CLEAN, AMPLE PARKING. WE WERE VERY PLEASED WITH OUR ROOM, OVERLOOKING THE VOLCANO AT UNIVERSALS VOLCANO BAY. FAIR PRICED, POOL WAS BEAUTIFUL AND WELL KEPT. NOOO BUGS IN ROOM! CLEAN! THIS WILL BE OUR HOTEL EVERY TIME WE RETURN TO ORLANDO! Very nice rooms. I loved the room. The only ice maker machine on the floor was broken. That's the only thing I didn't like about it. We arrived on a Friday at about 11 a.m. and the check-in was very long. I have never experienced such a big line or had to wait in such a long line for check in. I was checking in for four people (two adults and two children) and it was on my reservation, but I was asked if I needed two beds because they only had king size beds available. I stated that yes I need to beds for four people that's why I reversed two beds. She checked the computer for about 5 minutes and was able to give us a room. The room itself when you walked in looked nice and updated. The outside vanity and sink were marble and looked updated as well. However the bathroom with the toilet and bathtub were not updated at all and did not look like they belonged to the rest of the room. A complete turn off as it was moldy and looked dirty. The only plus for me is that the room did not have carpeting. The pool area was fantastic. Besides the lobby, it was the ONLY clean thing about the property. The conference center smelled like a urinal, and the carpets were filthy (not a surprise). We didn't even use the conference center, just walked through it. I'd be embarrassed to have meetings there. Room was gross. Not clean, not finished. The tub was grimy. The staff who checked us in was nice and the beds were pretty comfortable. But would not recommend. 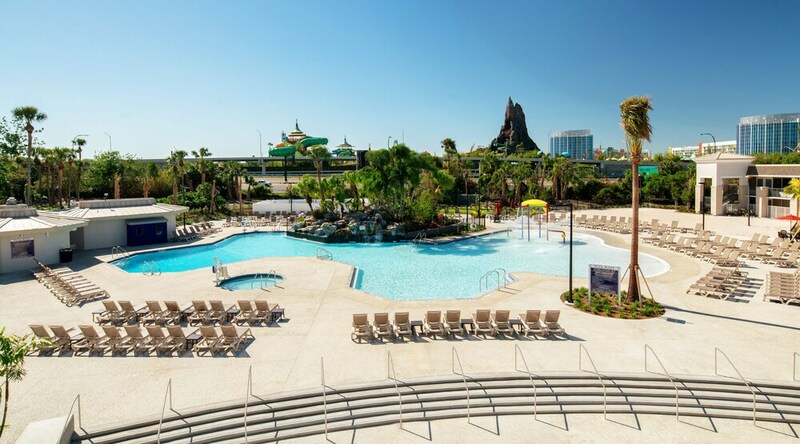 Located in Sand Lake, Avanti Palms Resort and Conference Center is within a 5-minute walk of Titanic the Experience and within 15 minutes of other popular attractions like Pirate's Dinner Adventure. This 3.5-star resort has 652 guestrooms and offers conveniences like a restaurant, an outdoor pool, and free in-room WiFi. Enjoy a bite to eat at Market Place Cafe, the resort's onsite restaurant. Savor a meal from the comfort of your room with room service, or get a quick energy boost at the coffee shop/café. Start each morning with cooked-to-order breakfast, available for a fee from 7:00 AM to 11:00 AM. At Avanti Palms Resort and Conference Center, guests enjoy an outdoor pool, a fitness center, and a spa tub. There's free parking and a free theme park shuttle. The 24-hour front desk has multilingual staff ready to help with concierge services, and answer any questions about the area. Additional amenities include free WiFi in public areas, conference space, and a business center. Thank you for the excellent review! Please share your experience on the Tripadvisor website with a 5 star review, So the team here gets recognized for their hard work! We hope to serve you again. Thank you for your feedback. I apologized and sadden to hear your stay was less than perfect. We will address and hope you give us another opportunity in the future. Market Place Cafe - Restaurant specializing in American cuisine. Open daily for breakfast, lunch, and dinner. Kid's menu available. Pool Side Bar & Grill - Poolside restaurant and bar open daily. Lobby Lounge & Bar - Lobby lounge. Open daily.